Welcome to the studio of Melanie Cossey. If my ad and feature in the still life section of American Art Collector magazine brought you here, I would like to extend to you a very warm welcome. 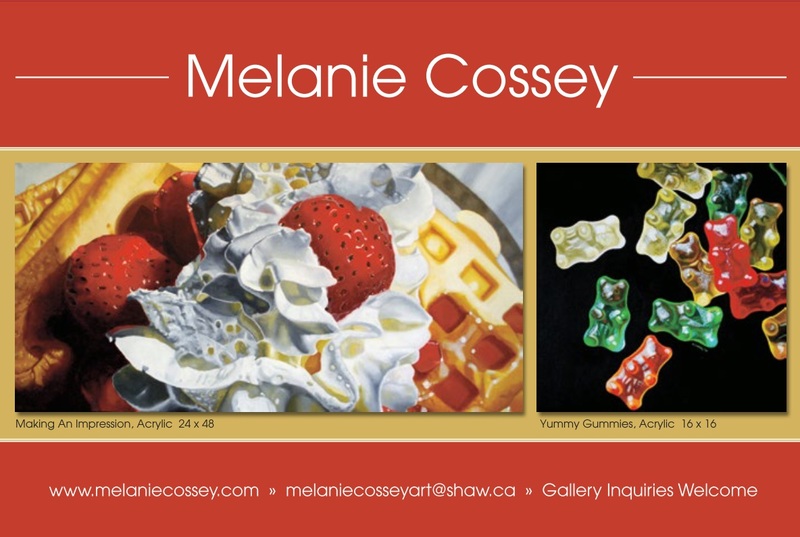 Both my featured food paintings and others can be found under the food portraits section of the gallery, where I have many more luscious, drool-inspiring paintings for sale. I am also working on more breakfast themed paintings which will include french toast and other yummy concoctions, so check back often in the new works section. I also welcome commissions, but will not do a reproduction of any previously sold piece in order to maintain the originality of the piece. If you would like to commission me or reserve a piece in progress, please email me at the address listed below or visit the contact me section of the webite. Thank you for your interest in my work and please visit often.